Color Blocking has always been in fashion, after all they look interesting as they are known for play of different colors. It is a technique were a number of solid and contrast colors are used in one single dress, basically in square blocks, or other geometric block patterns. 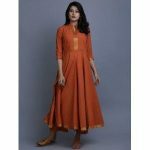 Previously color blocks were seen in western garments but now it can also be seen in Indian silhouettes. Especially sarees done in this pattern look gorgeous and contemporary. 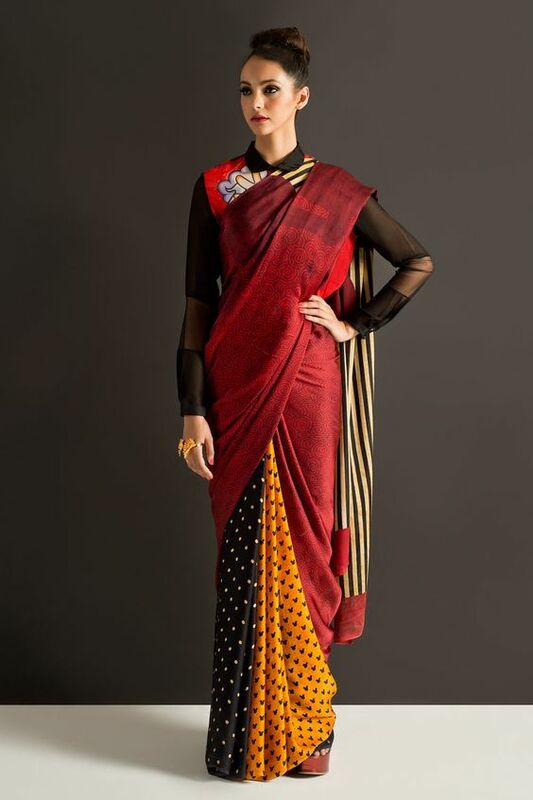 Here are few styles of color blocked sarees, which are done in different pattern and prints. They are not just color blocked by different colors but have certain elements of different textures and prints too, which makes them more interesting and high on design and looks. 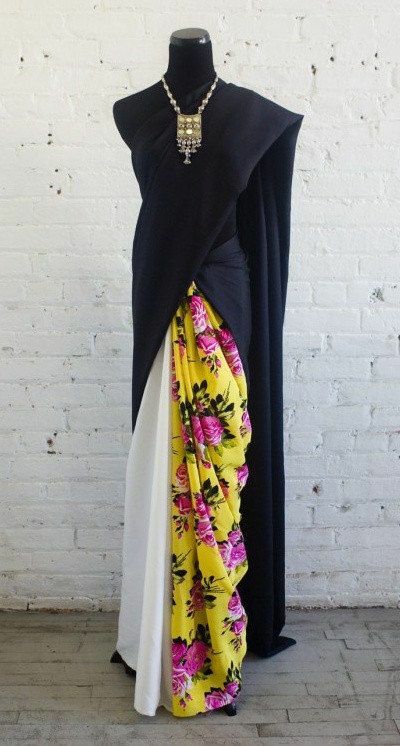 Saree with 3 color blocking and print– Such an interesting fusion of black and white neutral color combination, which is further highlighted with a third color in a printed yellow texture. A perfect blend of neutral shades and hot colors. Color blocked through different prints– Who says that color blocking can be done only through solid colors, different prints can add a kitschy appeal to the color blocked garment. 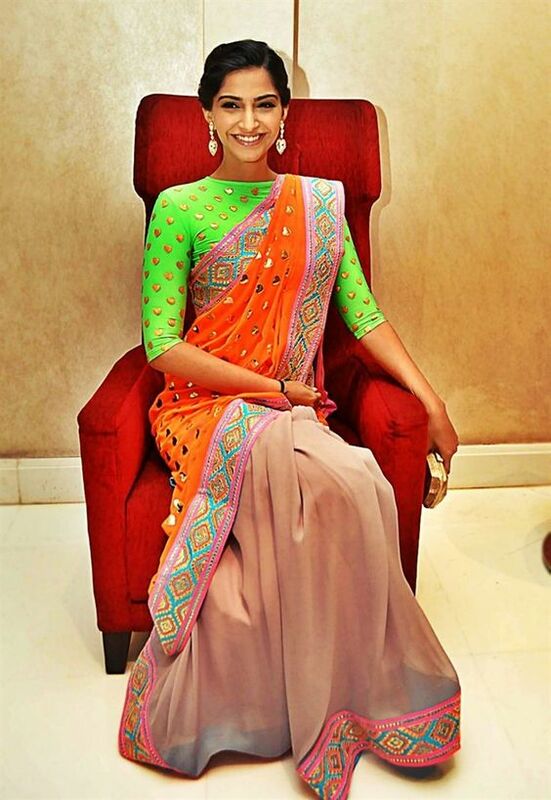 Here this saree is seen in three different prints and the upper body of the saree is in solid contrast color. Different prints in small patterns like polka dot and birds is perfectly teemed with another print in black stripes for the palla. 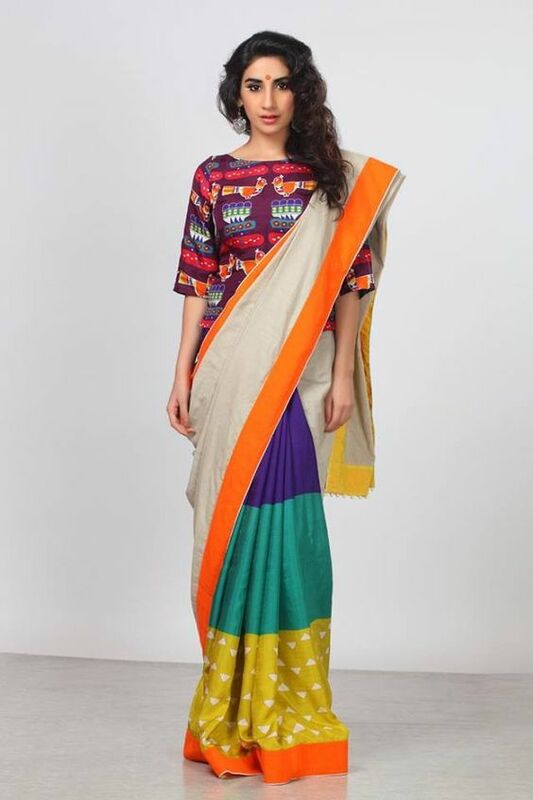 Color blocking with Indian prints– This saree looks like any other color blocked saree, but what makes it different is the use of Indian prints like Madhubani painting done over the upper body and batik done on the palla. Color blocked saree and blouse– If the saree is done only in two colors, then it can be further color blocked by using a contrast blouse. 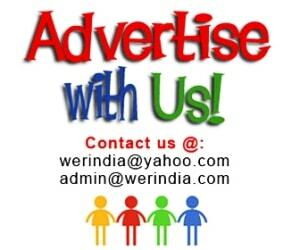 Horizontal Color Blocking– The saree is color blocked in a horizontal way, it can be done either on the body of the saree or at the palla part.